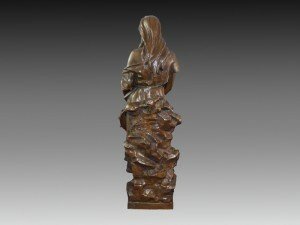 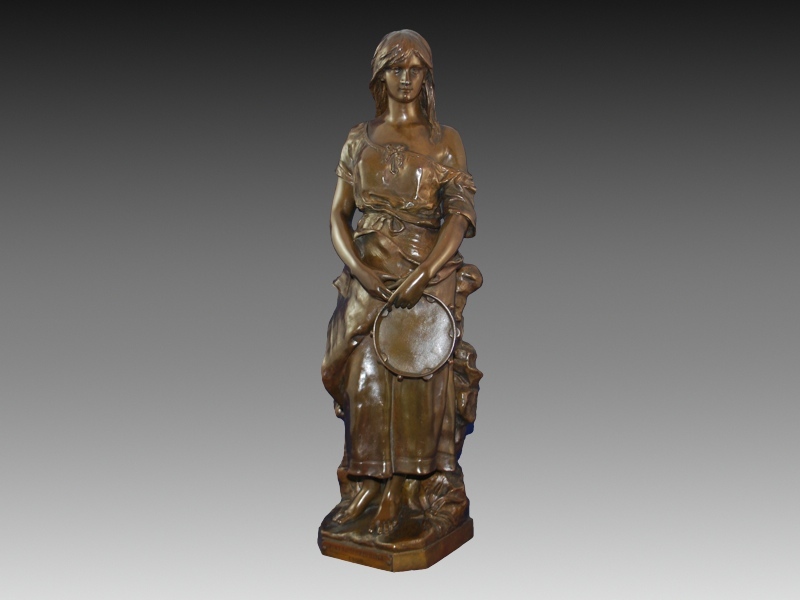 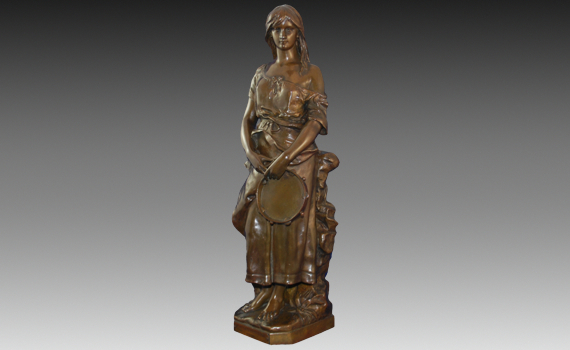 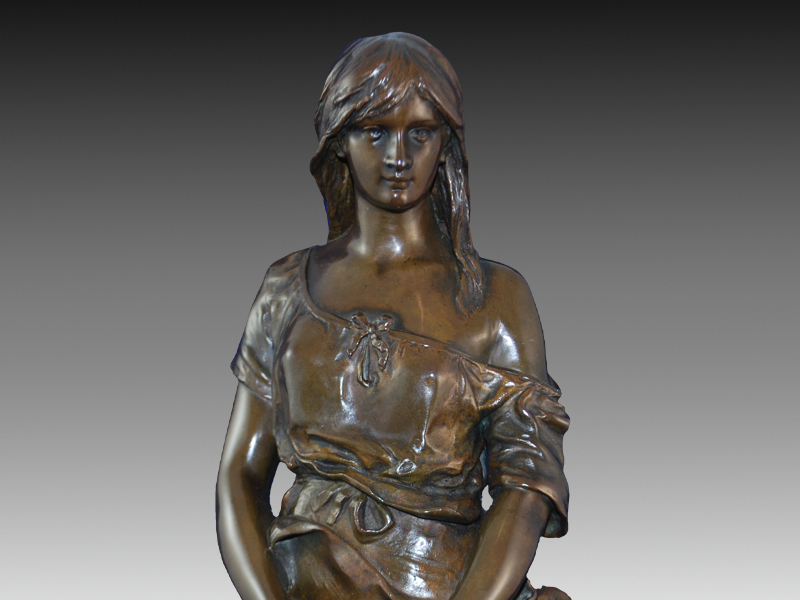 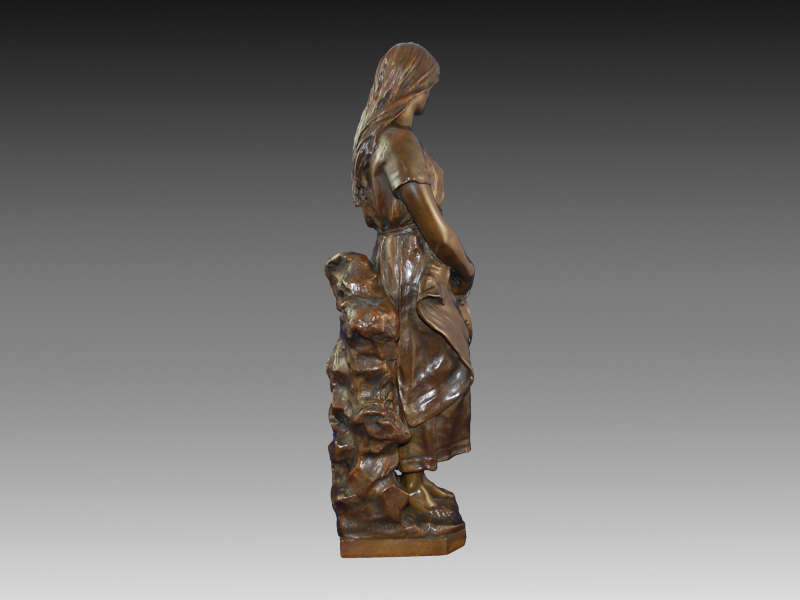 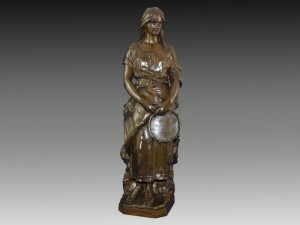 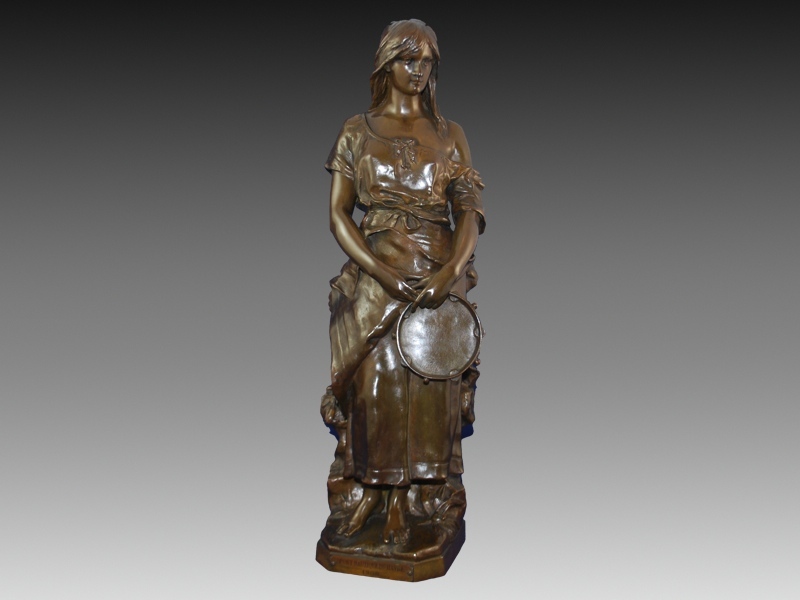 A French bronze figure of a young woman, standing holding a tambourine in her hands, supported by a naturalistic base. 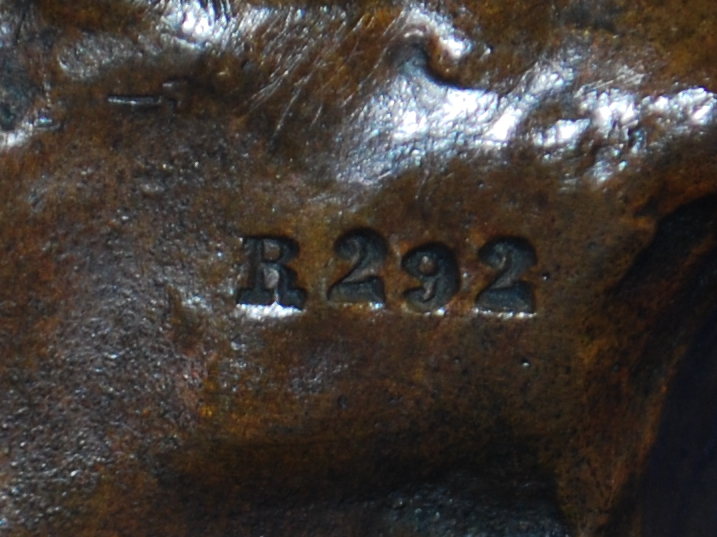 Original dark brown patination. 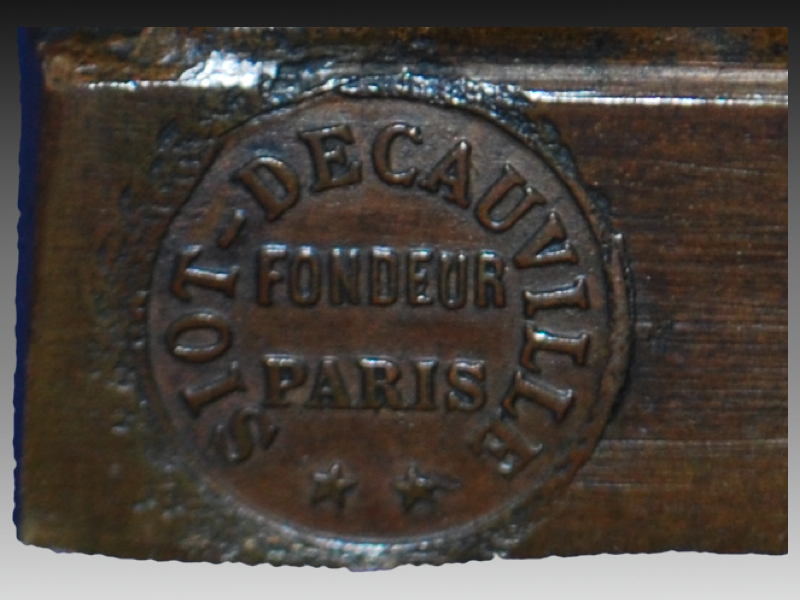 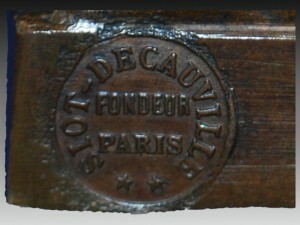 Cast by ‘Soit Deacauville’, with impressed seal to rear, and numbered R292. 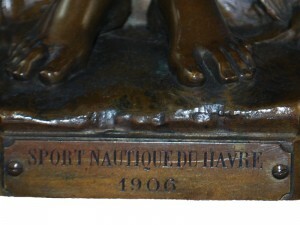 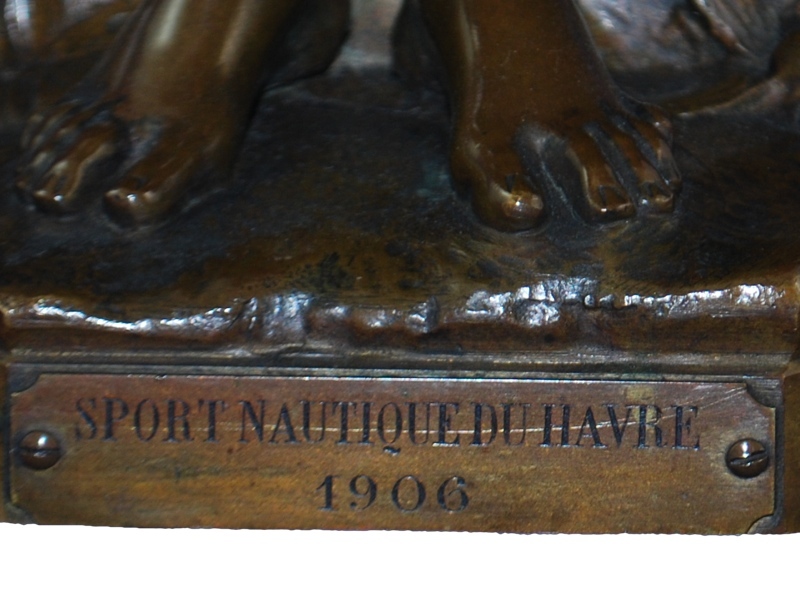 The front with Presentation plaque ‘Sport Nautique Du Harve 1906’.